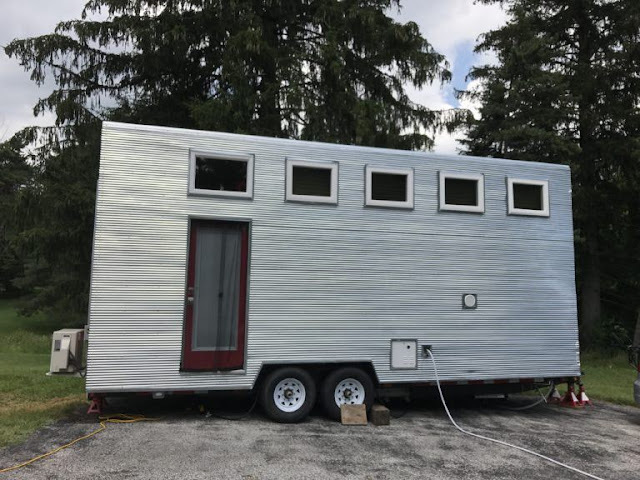 Located in Beachwood, Ohio is this 266 sq. ft. tiny house. 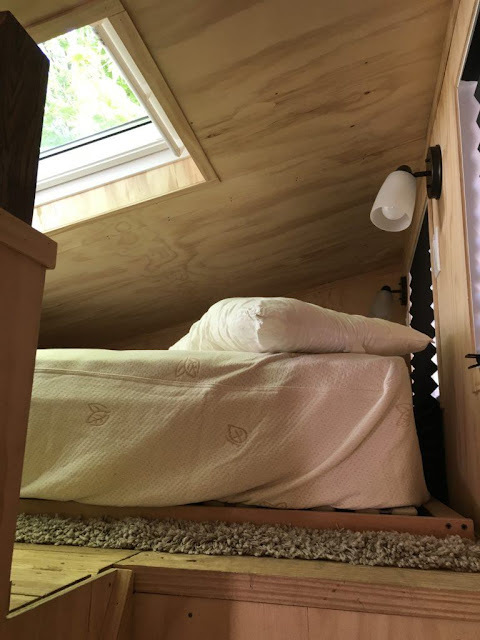 It has a lofted bedroom, living space, kitchen, bathroom and utility area that can accommodate a washer and dryer. Once you walk through the front door of the house, you will enter the kitchen. 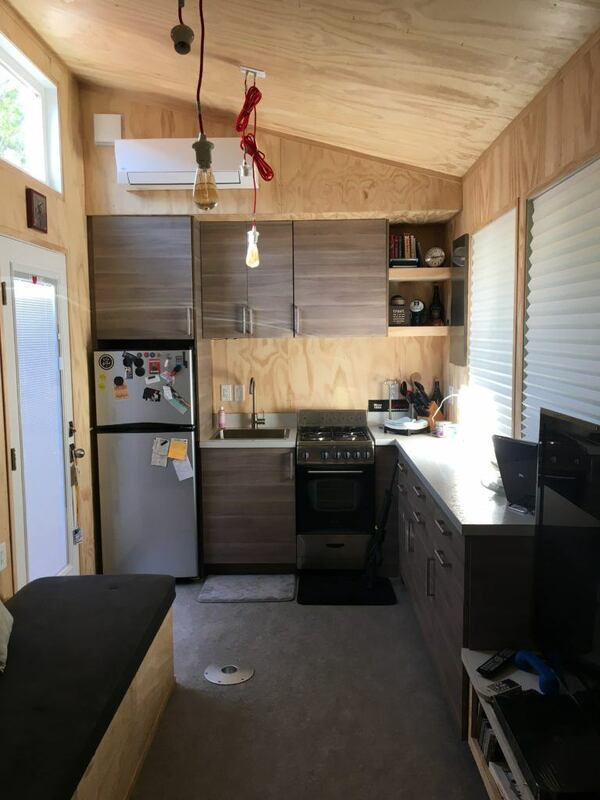 This kitchen features a 4-burner stove/oven, 11 cu. 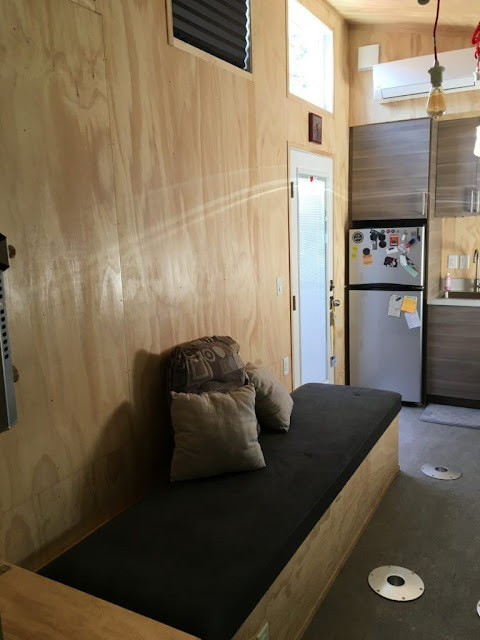 ft. fridge/freezer combo, plenty of counter space and lovely cabinetry. To the right of the kitchen is the living space, which has a natural wood finish throughout, custom bench lining the wall and several windows allowing for natural light to enter the room. 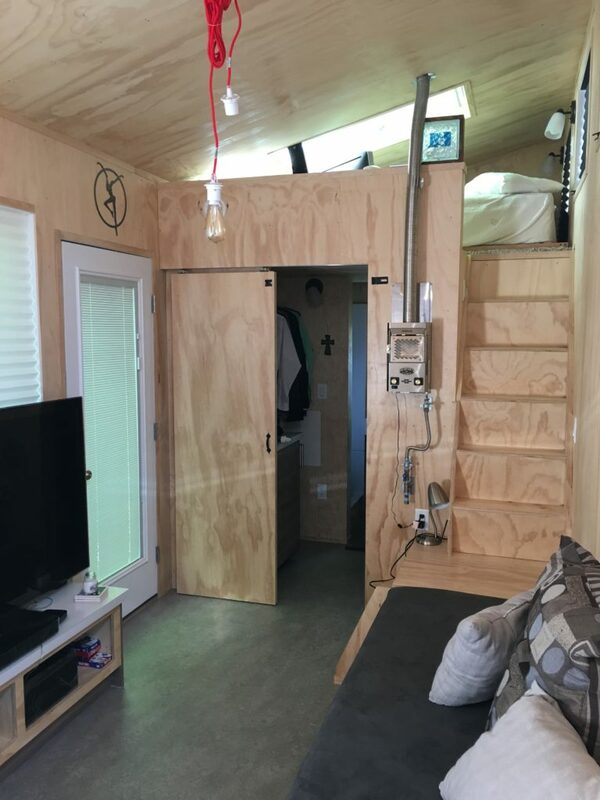 If you cross the living area, you can either go into the bathroom area on the left or go up the stairs to the lofted, queen-sized bedroom on the right. Going into the bathroom area on the left, you will first encounter a closet-type storage area for clothing or other personal belongings. Also, there is a cutout that fits a washer/dryer (washer/dryer hook-up is present). 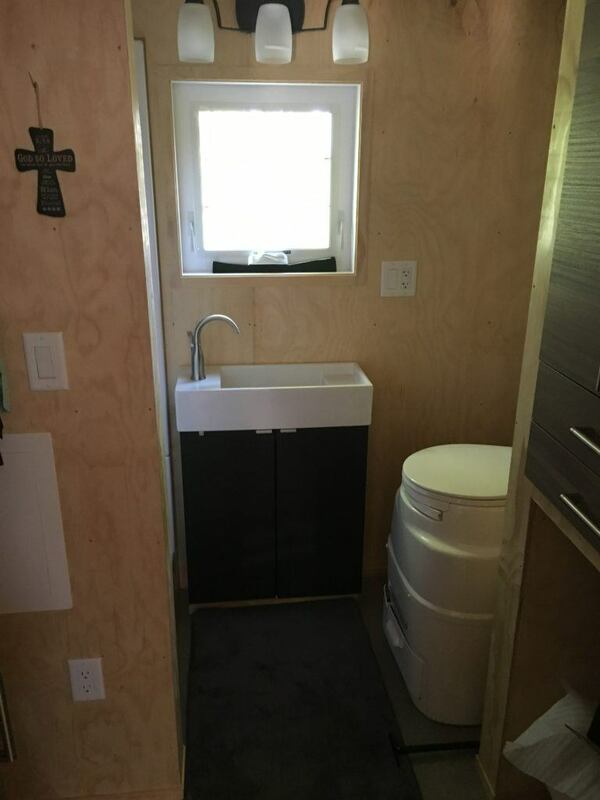 The bathroom has an IKEA vanity, standard sized shower stall and indoor composting toilet. 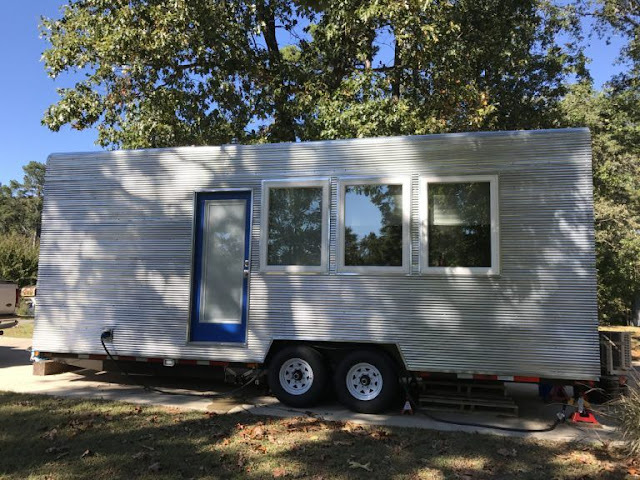 The appliances in the house are energy efficient and could possibly run on solar power should you want to do that. 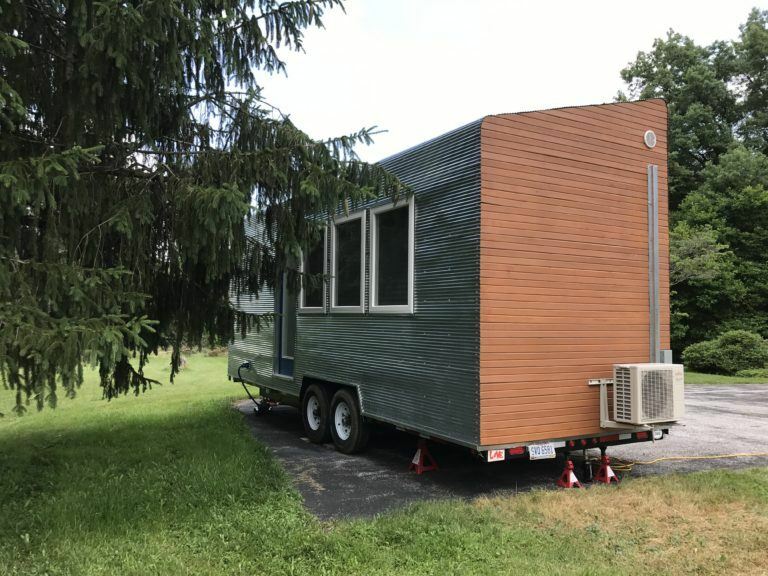 The price of this tiny house is $70,000; however, the seller will entertain other respectable offers. 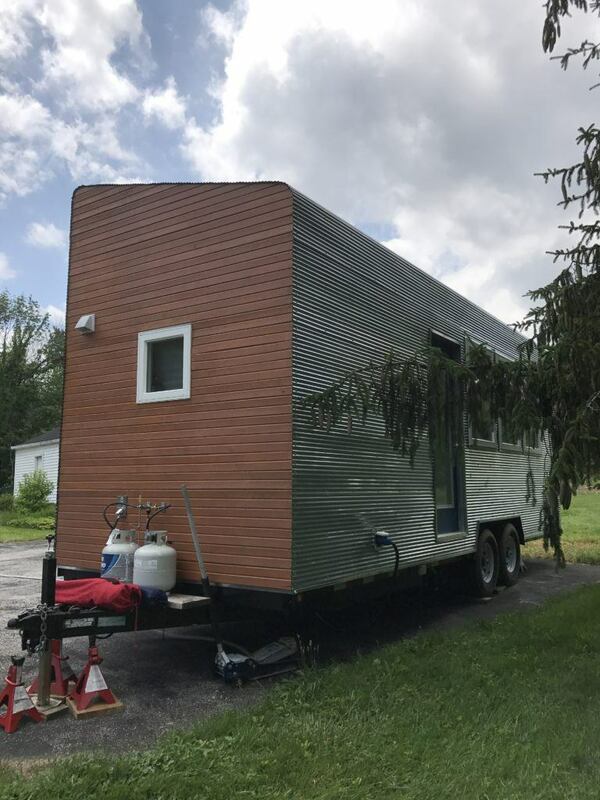 For more information on this tiny house, see its listing on Tiny House Listings here!